Located at 707 Cookman Avenue in an area of downtown Asbury Park known as the “Art Block,” The ShowRoom Cinema is an entertainment hub offering provocative films and events that engage audiences for a memorable experience. 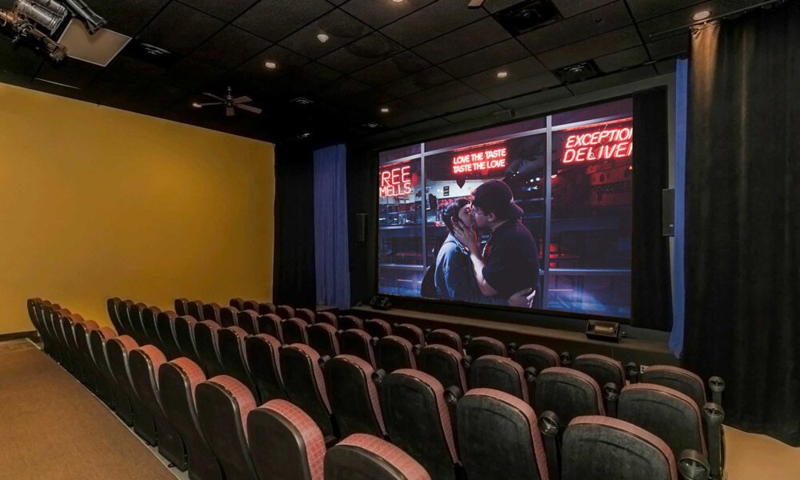 Not only does The ShowRoom feature an eclectic mix of independent films, but, as a rental venue, events can be held in any or all of the three theaters. The conveniently-located setting is ideal for intimate business meetings, anniversary celebrations, or birthday parties for film lovers of any age. The ShowRoom also provides the perfect setting for live performances and mixed media including comedy, music and film classes. The ShowRoom Cinema is the perfect size to bring a class for an educational field trip or a summer camp for a group outing. Bring your own DVD or BluRay of a favorite flick or home video, or choose from a selection of films in our collection. 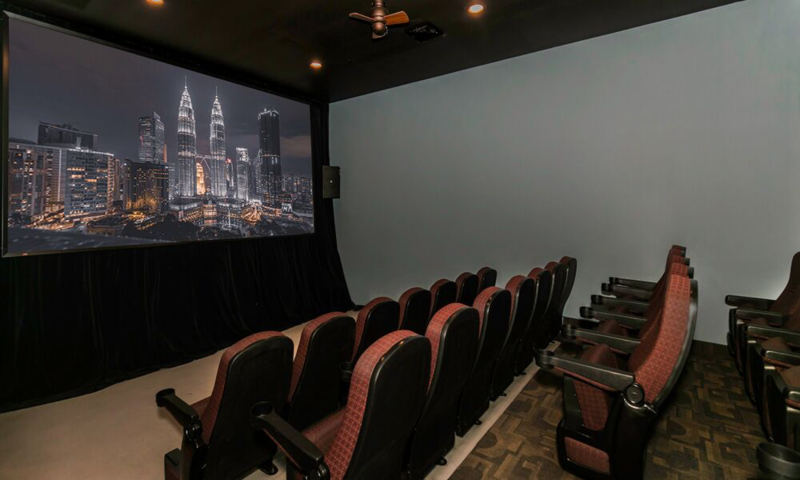 The option to rent any of The ShowRoom’s three theaters means a custom space for any sized event. The largest theater holds up to 75 in fixed theater chairs on a raked floor, making any seat a good one. The 25 seat theater provides the same accommodations for slightly smaller events. The most intimate of The ShowRoom’s theaters is located upstairs and overlooks Cookman Ave. 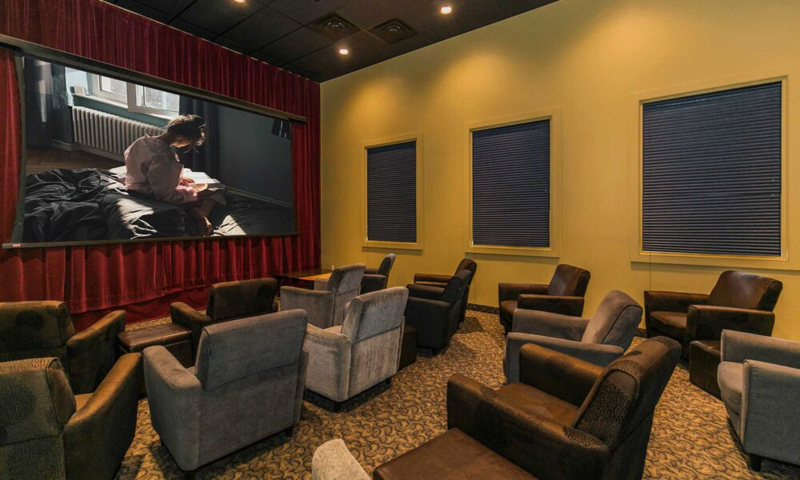 This cozy screening room comes equipped with 12 moveable club chairs, perfect for receptions of up to 35 people. The living room atmosphere of this space offers all the comforts of home as well as the luxury of a state of the art projection system. The ShowRoom works closely with event hosts to custom build a successful event. With the option of the theater’s own handpicked concession items combined with specialties from local restaurants, The ShowRoom Cinema can offer food and film fit for the pickiest of palates.